Corkboards are great for putting important announcements and messages on display. Cork is a natural material that will re-close after tacks are removed. 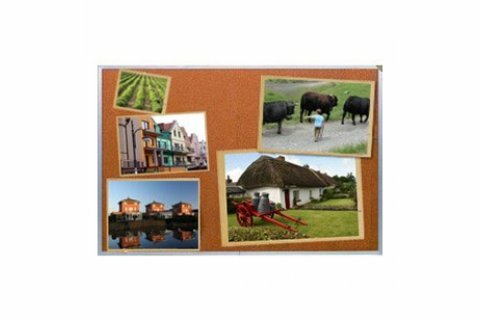 These aluminum frame corkboards have extra study backing for long term durability. Sturdy: Satin-anodized aluminum frame attached with mechanical fasteners (not just crimped) and .5" thick cork board provides enhanced durability. 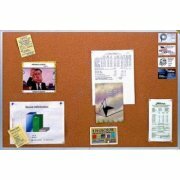 Versatile: Cork bulletin boards work well in offices, classrooms, lobbies, and hallways. Natural: The natural cork color blends in with surrounding decor.